The study of Irish mammals carries both advantages and disadvantages for amateur and professional naturalist alike. A would-be ornithologist must undergo an arduous apprenticeship in learning to identify accurately even the common Irish bird species, simply because there are so many, and the variations between them often slight and subtle. In contrast, Ireland has relatively few species of mammals, and they are much more diverse. 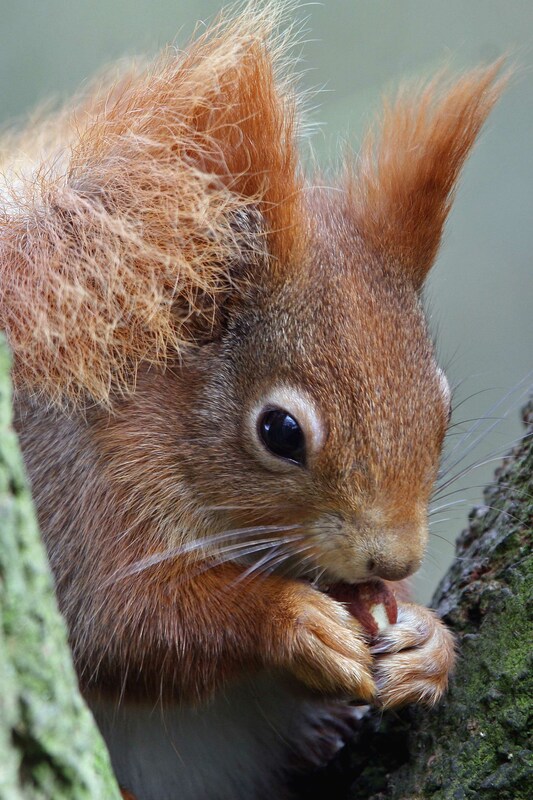 Even a child will have little trouble in recognising a lot of them, and it requires only a minimum of effort to distinguish most of the others, for instance otter from mink and red from grey squirrel. The only half-difficult group are the bats, and there are but nine species of these to date. Whereas we can see some wild mammals without much difficulty (like deer, rabbits and hares) most are predominantly nocturnal. Consequently direct observation of these must be mainly at night. The necessary inconvenience, however, is often repaid by the thrill of a sighting, all the more likely if one invests in night viewing equipment, which can now be bought at no greater outlay than for a good pair of binoculars, as can a bat detector. Not only does this allow bats to be heard, but a bat detector gives a very good indication of where they are, frequently thus enabling them to be picked out in the gloom. 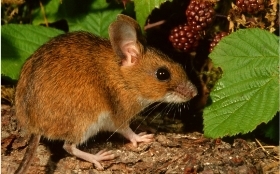 Small rodents may be viewed close up by live trapping and releasing them afterwards. Suitable humane traps may be purchased in most large hardware stores. With persistence, by moving about gently at night in suitable areas, holding a torch, one can spot foraging hedgehogs. Unfortunately, more invasive techniques, such as radio-tracking or marking individuals for future recognition, will almost certainly require a licence. But study is by no means limited to sightings. Indirect evidence, usually referred to as ‘sign’, can be both fascinating and informative: things like pathways, burrows (e.g. badger setts), dreys (squirrel nests), remains of carnivore kills, nuts and cones gnawed by rodents, bark stripping of trees by deer and damage to other plants. Mammal tracks may also yield useful data, although these are rarely sufficiently distinct, except on expanses of soft mud or in snow. The most productive sign is usually droppings. For instance, the ability to recognise spraint (otter faeces) – a skill easily mastered – opens up a whole new world on the presence and activity of these beasts. Again, badger latrines – defaecating places – can reveal a great deal about the territories of these animals. And for the less squeamish, the analysis of droppings is not as difficult as is usually imagined. There are several excellent books on sign which, with a little effort, will see the amateur well on his or her way. Sightings of some sign are at times nearly as exciting as a glimpse of the associated animal itself. Another valuable source of knowledge is owl pellets: packets of the indigestible fur, feathers and bones of prey, which the birds regurgitate. With the aid of a low-power microscope, or even a powerful hand-lens, the skulls of the rodents and shrews consumed may be readily identified. Interest in our wild mammals has exploded in recent times. Fifty years ago one could count the number of serious mammalogists in Ireland on fewer than the fingers of one hand. But no less than 150 attended the All Ireland Mammal Symposium in 2009. Whereas many of these had a professional interest, there still remains plenty of room for the amateur. In Britain, there are now many respected amateur mammalogists and there is a long tradition in Ireland of the expert amateur naturalist, in eminence very often exceeding that of the professional. This has particularly applied to Irish mammalogists of the more distant past. Collection of knowledge is absolutely essential for the conservation of our furred wildlife, and amateurs are urged to play a major part in this. Even if people only regularly provide records of the different species as contributions to distribution maps, this will soon add up. And those who begin in this way may well find themselves drawn into doing much more. It is a grievous error to believe that it ‘has all been done already’ or indeed, as some writers do, to apply information derived from mammals in Britain uncritically to Ireland. There are all sorts of factors that render the situation here dissimilar. For example, it has long been known that we have two distinct subspecies of mammal, and recent genetic studies have confirmed that they have diverged markedly from the British forms, namely the Irish stoat and Irish hare. The latter occurs from sea level to the tops of the highest mountains, although elsewhere in Europe, where the species is known as the blue or mountain hare, it is confined to high ground or the colder north. (This has even led some writers to refer to our animals as ‘the Irish mountain hare’, which is totally misleading.) We need to know a lot more about the Irish stoat, even more data on its distribution would be valuable. Again, the situation differs here because we have fewer mammal species. This means that sometimes a species in Ireland may have expanded into a niche occupied by another in Britain. With fewer mammals as potential food, carnivores and birds of prey often have a somewhat different menu here. Moreover, a number of foreign mammalian invaders have established themselves in Ireland, and information on how they affect our native wildlife is essential to possible conservation measures. We know, for instance, a lot about mink, but what about the greater white-toothed shrew, recently discovered over a wide area in Co. Tipperary? Will it compete with our native pygmy shrew? Yet another difference is that we have two common species of bat that are rare in the rest of Europe. The lesser horseshoe bat has been brought to the verge of extinction over most of the Continent. Where it occurs in Ireland it is numerous. Fortunately, there have been vigorous conservation measures, many by The Vincent Wildlife Trust, to keep it so. Leisler’s bat is abundant in Ireland but rare elsewhere. 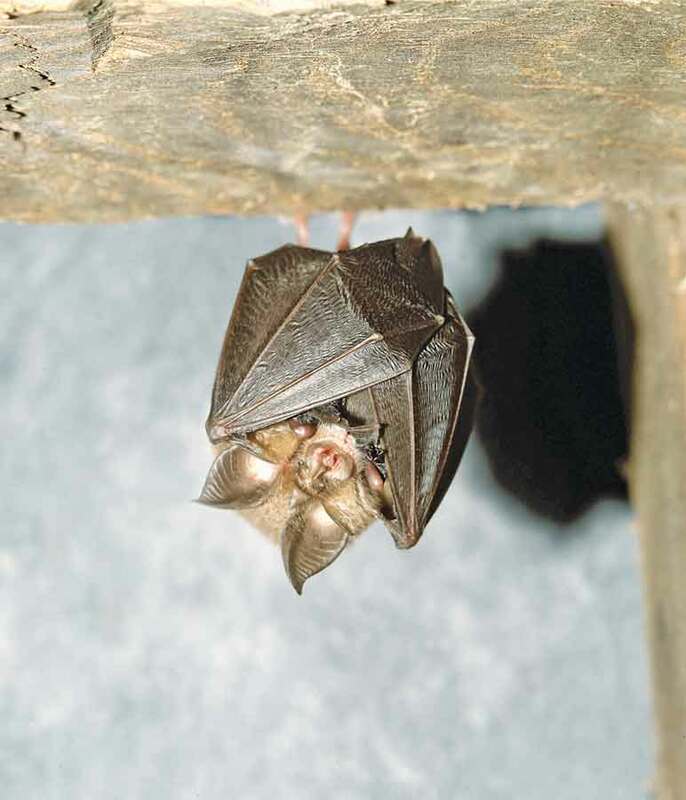 This may be because the noctule bat, a bigger, closely-related species, is present throughout the rest of the Leisler’s geographical range and may compete successfully with it; but there are no noctules in Ireland. The above by no means exhausts instances of the uniqueness of Ireland’s mammal fauna. It is to be hoped that this website will highlight the importance of our mammals and stimulate a much more widespread enthusiasm for them. Visit our Species Profiles for more information.